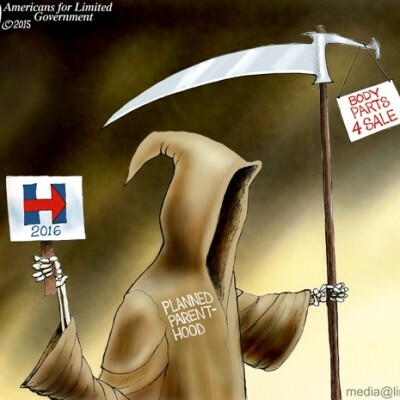 Planned Parenthood is a Huge supporter of Hillary, But we haven’t heard a peep from her on the selling of baby body parts. Cartoon by A.F.Branco ©2015. More A.F.Branco Cartoons at Net Right Daily.